You can decide to save yourself some few dollars by using family members and friends to help you when moving. However, keep in mind that DIY comes with its own set of risks. Using professional movers can result in you incurring significant costs that are easily avoidable if you decided to coordinate with several people who are willing to help you out when you are moving. On the other side of the coin, DIY has its own drawbacks. Your items are no longer handled by experienced and qualified personnel and in case of any damage or accidents happening all the losses will have to fall to you. Nonetheless, if you decide to move without getting professional assistance, here are some few tips that can be of much importance to you. Starting to pack when its late is a common mistake that you should avoid making. Packing should be done before time most preferably more than four weeks before the day of moving. Late packing might result in doing shady work which can lead to items breaking along the way. A DIY move does not necessarily imply that you should do everything by yourself. Start by creating a list of several family members and friends presumably who are strong and can assist you in moving. Doing everything by yourself can have fatal consequences because it can result in breaking of items or even worse you can end up with some few broken bones. It is important to rent a truck that will facilitate your DIY move. Its cost is considerably lower but usually end up varying depending on the amount of time that you will be in possession of the truck, the size of the truck and other added services that might also be offered. Book the truck way before the actual day of moving, correctly selecting a specific size that can fit your items. Renting a truck which is smaller means that several trips are needed to fully finish moving and extra cost are incurred in the process. Always start by packing the nonessential things as early as possible e.g seasonal clothing and other items that can be missed during a rush hour. Essential items should be carefully packed and placed on the truck reserve when moving to preventing damaging. Published by Quick Mac, in Moving Tips. Nothing is more stressful than moving to new premises. The sheer amount of cost and effort that is dedicated when moving is immeasurable. Add that with the emotional attachments that people are supposed to break from and it makes people who have stayed in the same house for a long time to not understand the logic behind moving to a new place. Even if these people find it irritating to leave behind a place that they have considered home for such a long time I know for a fact know that a day will come and they will be forced to move to another house. Here are some of the common factors that make people move. A family can outgrow its home and if this happens then moving is the unavoidable next course of action. Furthermore, a family can also be outsized by the house due to various reasons and if family members consider that a house has become too big for them, they can decide to relocate to a more fitting place. The particular house preference of an individual depends on the income levels. Many people prefer living in a cost affordable houses and whenever house expenses prove to be too much for them to handle, decide to move to another place. Many couples start by living rentals and crowded apartments when they are young in love life. With time comes maturity and when they start considering bearing children they can decide to move to a suitable place where they can raise the children. The marital condition of a person is a crucial determinant of the place of residence. Newlywed lovebirds are in a phase of opening a new chapter in their life and start looking for a spacious and suitable house that they can consider home for a family. No matter how classy a house is considered, one can only be comfortable if you are surrounded by the right neighborhood. You can decide to move elsewhere if frequent conflicts have been occurring with your neighbors to a place where you can be more comfortable. A need to move to a new house may arise in case of a job transfer. Many people consider it undesirable spending long hours in traffics and may end up moving to houses which are much closer to the place of work. The health conditions of a person determine the particular house he will live in. People with physical ailments don’t prefer living in a house with staircases and inevitably would decide to move to the one-storied house. Many homeowners dread moving due to the kind of work involved in it. No wonder it remains one of least favorite things they want to do next. From planning for the move to sorting and parking to lifting heavy items to unloading your belongings, there’s so much to do when one is moving. Doing everything yourself is one of the reasons you’re likely to have a stressful experience during your move. Remember you’re excited to move into the house of your dreams. It’s all you’ve been waiting for and now the time has come. Hiring a professional moving company can help you have a less-stressful situation. Turning to a specialist so you can get the help you need most will ensure the excitement of moving to your dream home doesn’t fade away. 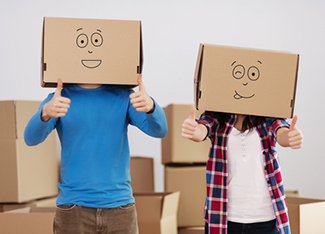 Here are top reasons why you need to hire a moving company. As mentioned, moving is the last thing every homeowner wants to do. Fortunately, you can have stress-free and successful household move by hiring a professional mover. Moving companies have well trained and experienced staff who can handle your personal belongings in a safe way. From the small items to the larger appliances and furniture, everything will be packed, loaded, and secured for the long haul. Your personal belongings will be safely delivered to your destination. Of course, borrowing a truck and doing everything by yourself is still fine. However, it’s important to note that when you borrow a truck from one of your buddies, he won’t provide you with the right equipment to use when moving your belongings. Professional movers have the right gadgets and equipment that will make your move safer and simpler. From hoist straps to appliance dollies, and ramps, moving companies have the right equipment to transport your personal belongings securely and safely. Whether you think you understand your local area well or you’re a driver who has probably used all the roads in your locality, there’s a good chance that you don’t understand everything about your locality. It’s important that your personal belongings are safely and securely transported to your new home without any problems. Professional movers understand the local routes as well as the neighborhoods and run local area checks. This means you can count on them to dispatch and transport your belongings safely. One of the things that make moving costlier, time-consuming, and stressful is parking. While parking yourself might seem to be the cheapest option, the reality is you might end up spending more. Why? You’re likely to use more boxes when parking and you might have your fragile belonging damaged. You want to ensure efficiency in packing so that it’s quicker and safer for your belongings. Hiring a professional mover will help you park in a few days when you could have spent weeks doing it. The safety of your valuables and personal belongings is key when moving. The truth is, you’re not experienced in moving. Neither are you trained in the same. It, therefore, follows that your belongings are at risk of getting damaged if they’re handled by you. However, hiring professional movers, who have the experience and training, means all your belongings are not only in safe hands but also insured. Moving companies usually use a heavy-duty wrap for heavy items and furniture to avoid damage. Your belongings are also sealed from dust and debris.